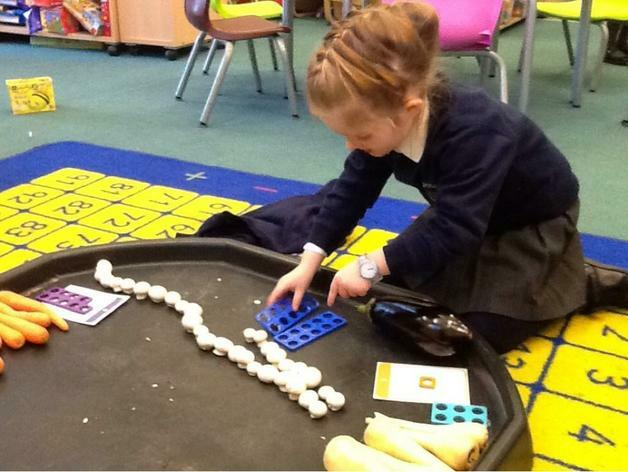 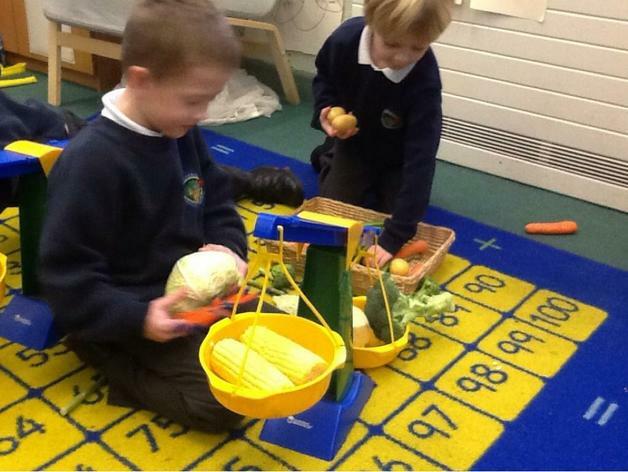 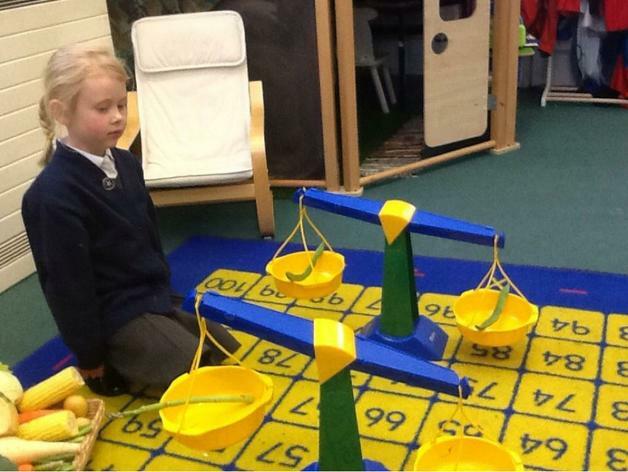 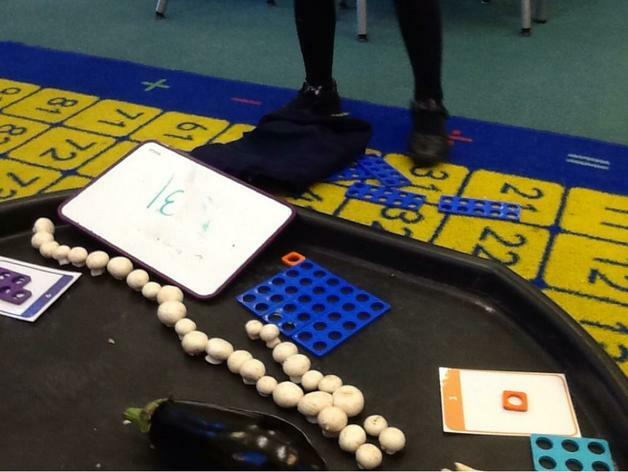 This week in maths the children have been investigating the weights of different vegetables. 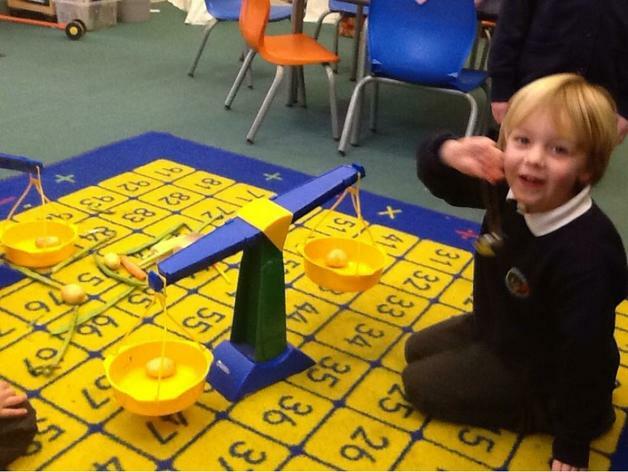 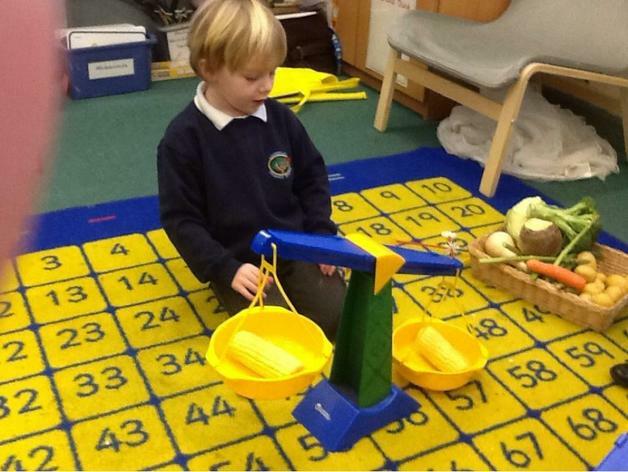 They used the balance scales to compare the weights and then used labels to order them. 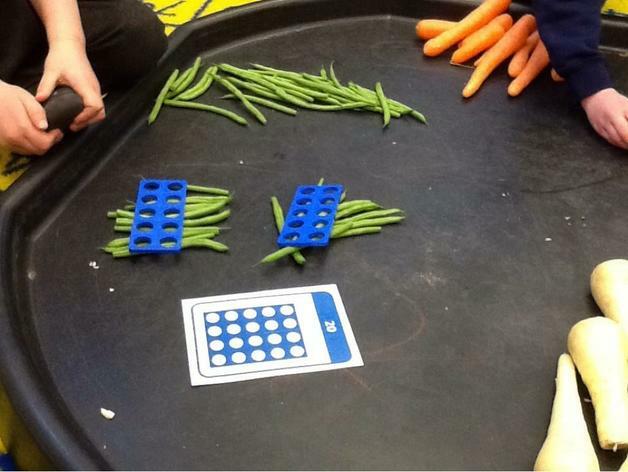 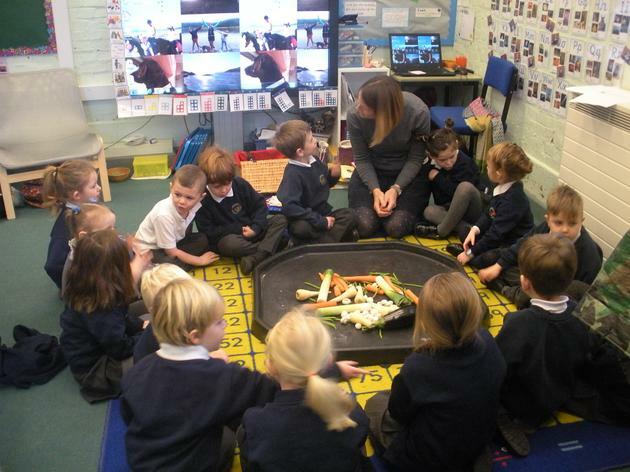 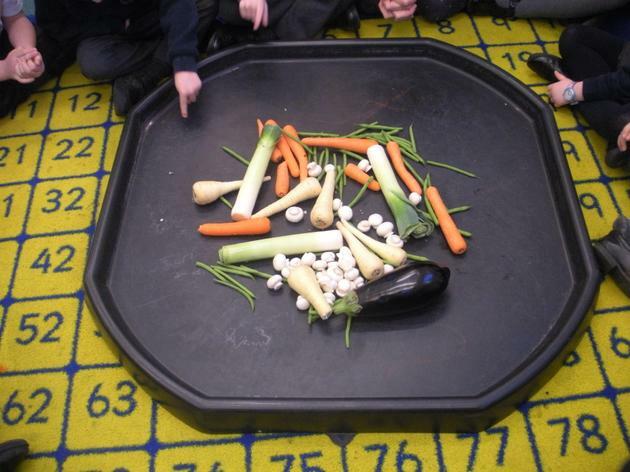 Then the children had different challenges to tackle, for example - do two carrots weigh the same? 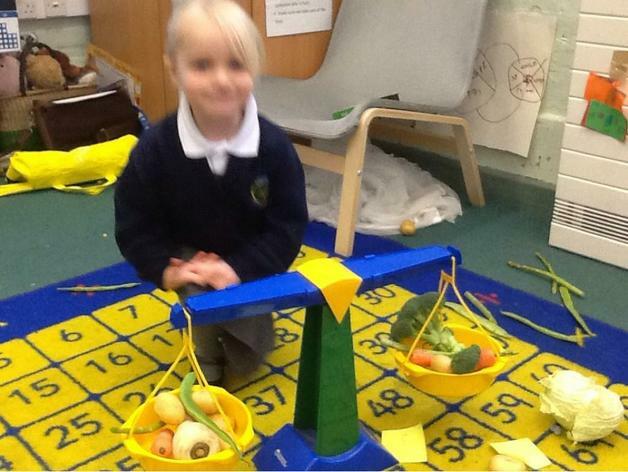 Can you find something heavier than the runner bean? 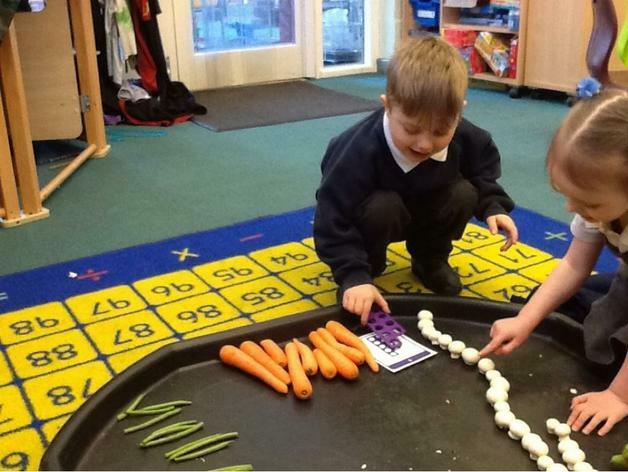 Can you order three vegetables in weight order? 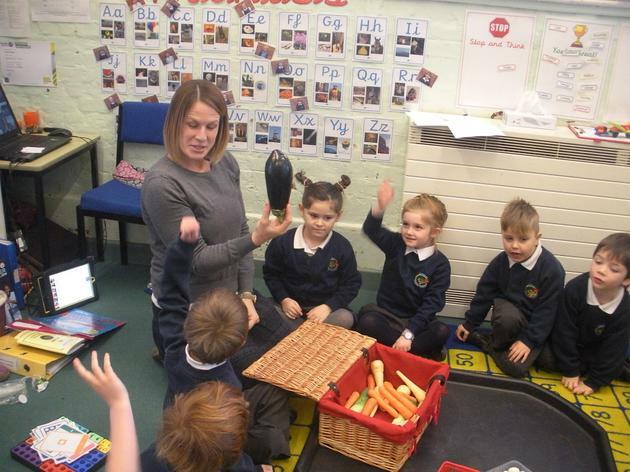 Today we read the story of 'Supertato' which the children told me took place in a supermarket. 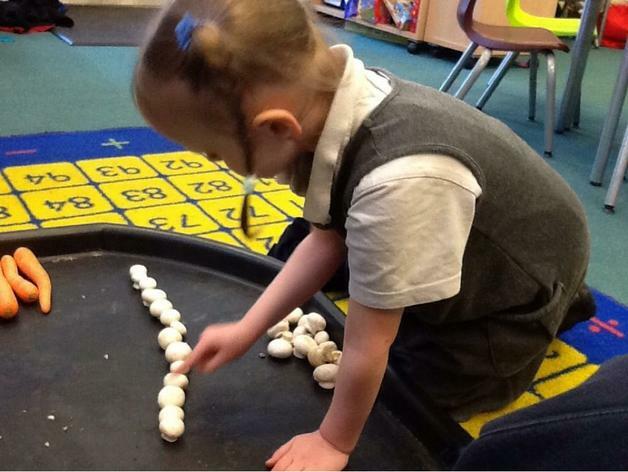 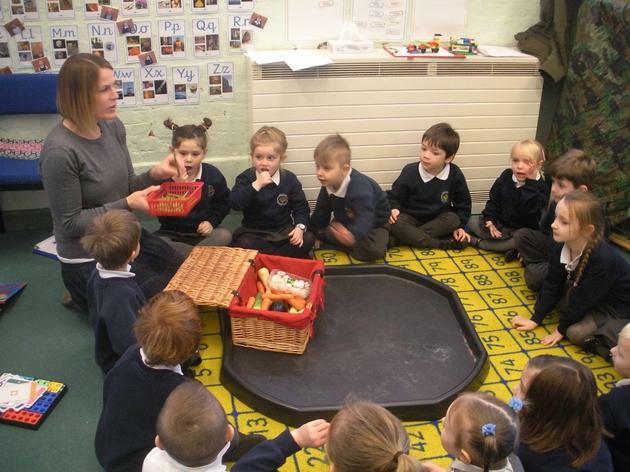 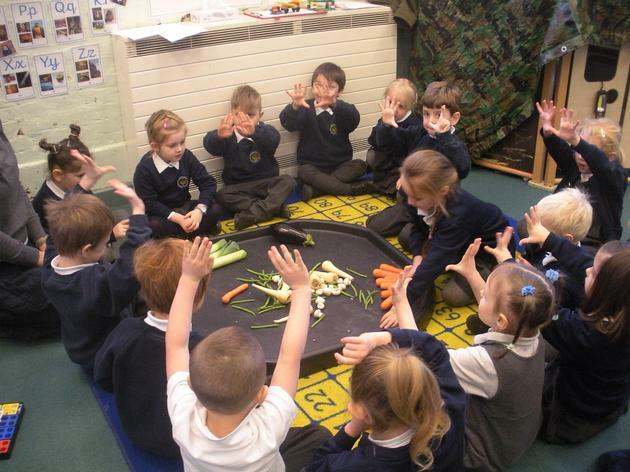 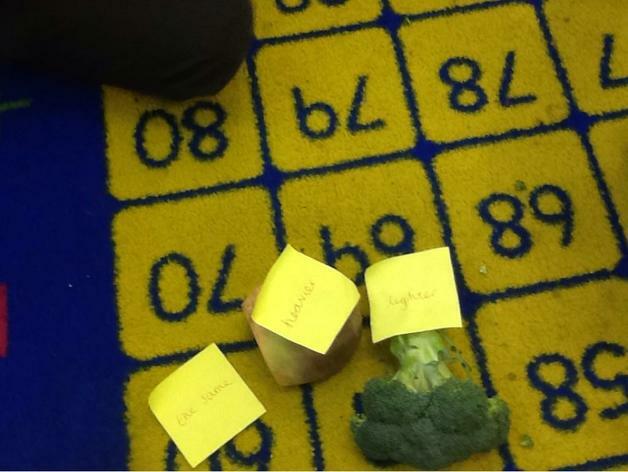 In our maths time we looked at some different vegetables and after we had found out what they were all called the children had to think of a way of finding out which one we had the most of. 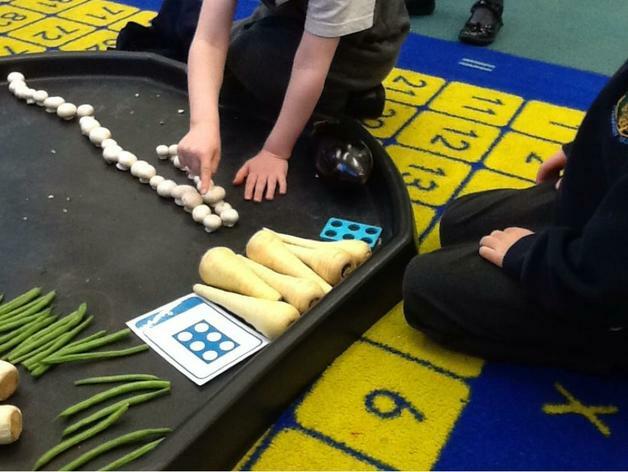 The children talked to each other about the fact that we would have to sort the vegetables so all the same ones were together and then we could count them to compare. 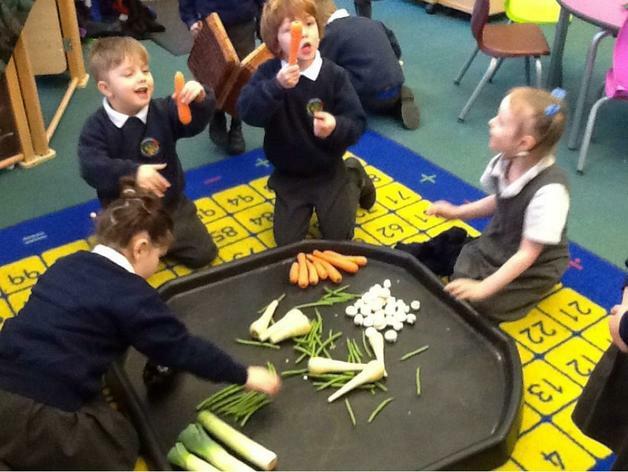 The children a had a go at estimating how many carrots we had before we counted to check.